View our schedule below. Book classes on the MindBody app. Or just show up! First Time? Please arrive 10-15 min early for check in and to get your favorite spot. Free Parking in our lot, or the large lots across 9th. Check-in: Lobby doors open 15 minute before class. 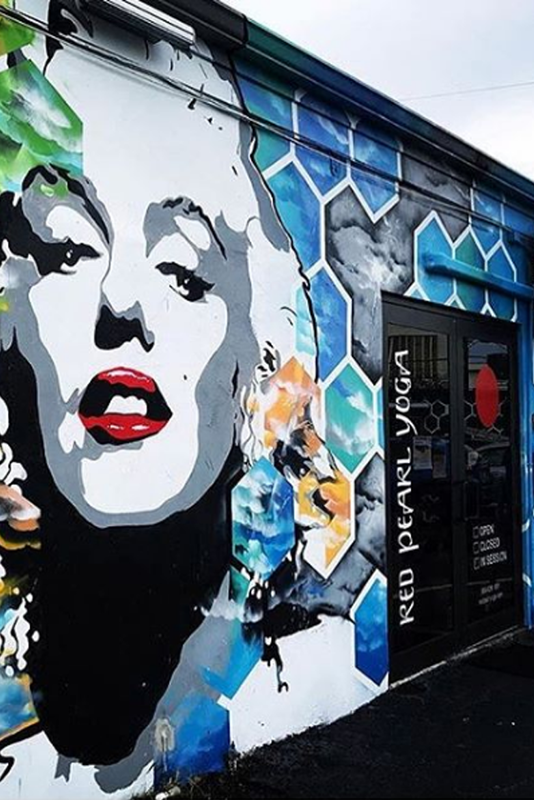 While you wait, explore our colorful mural walls or one of our neighbor cafes while we get our sweet space ready for you. Late to Class? Lobby doors locked 10 minutes after class begins for your safety and our students’ peaceful practice. 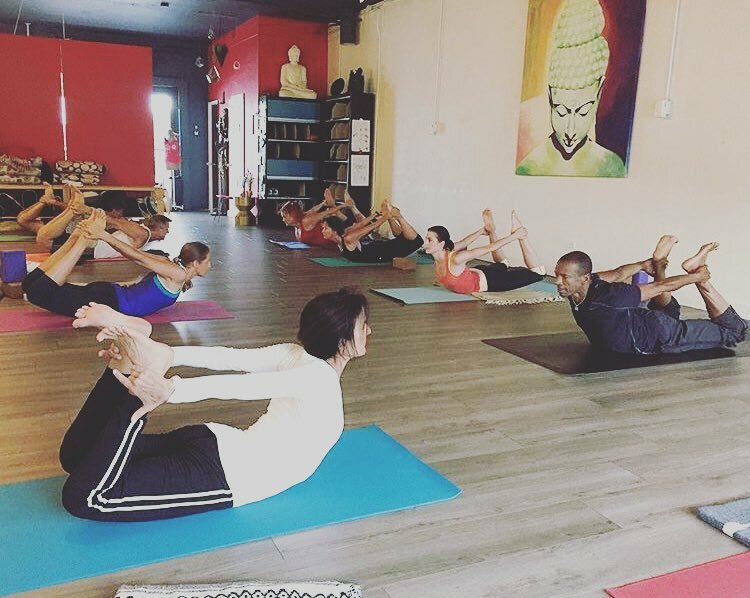 **4:30pm-5:45pm~Gentle /instructor: Amy $10 cash exact change pls . ** = $10 cash class please bring exact change. No credit cards for cash classes. Look for changes to our schedule on the NEWS TICKER feature on our home page. Get advance notice of sales and events as well as changes when you sign up for our email newsletter. Sometimes a scheduled instructor is unavailable and another teacher covers their class. We do not announce those changes unless they are for an extended amount of time. Our qualified subs(mostly our own teachers) will give you a great class. Leave your expectations at the door and bring an open mind… you don’t know what you don’t know until you experience it!